Johannesburg (South Africa) – The years biggest fight night, EFC AFRICA 16, is mere days away! Will Ruan Potts defend his title once more, or will Bernardo Mikixi stand at the beginning of a new heavyweight reign? 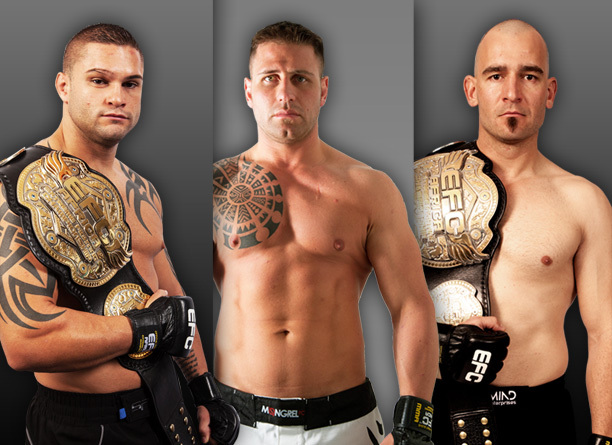 A number of the EFC AFRICA star athletes gave their personal opinions and predicitons on the three title bouts. Fans across the world will watch these epic clashes unfold, presented by MusclePharm, broadcasting live from the Big Top Arena at Carnival City on 19 October. Below are some of the thoughts and predictions for the main event fights – Ruan Potts vs. Bernardo Mikixi, Demarte Pena vs. Terrence Griessel and Jadyson Costa vs. Michiel Opperman. EFC AFRICA 16, presented by MusclePharm, takes place at the Carnival City Big Top Arena on 19 October. Tickets on sale at Computicket www.computicket.com and tickets for the live broadcast to Nu Metro Cinemas available at www.numetro.com. 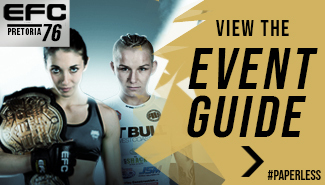 The three main card bouts will be broadcast live across Africa on e.tv, starting at 22h30 CAT.